Metal garden gates are one of the best choices you can make for your garden and your home. These gates offer durability, quality, style and resilience and also add a touch of charm and class to your house. While metal gates may cost a little more than wooden ones, they can last a lifetime if they are properly taken care of and kept well maintained. Since you invest a handsome amount of money into the metal garden gates for your home, it is imperative you maintain them well, keep them clean and do this all at least once a month. If you have a metal garden gate at home, and you have no idea how to keep it clean and well maintained, here is a simple guide to help you out. Metal gates are not hard to clean but will take a lot more time than the other gates. Let’s take a look at the procedure to clean the metal garden gates below to make sure they are kept in the perfect condition possible. Take a bucket and put some mild detergent in it and add some warm water. Mix it using your hands until you can see plenty of suds forming in the water. Now take a sponge and dip it in the bucket. Use this sponge to apply the soapy water on to the gate. With a scrubbing brush, give your metal garden gate a good scrub. This will make it easy to get rid of bird dropping, grime and dirt gathered on the gate. The best thing is to begin with one gate first, wash both its sides and then proceed to the next gate following the same procedure as done with the first one. Once you are done with washing both the gates with soapy water, take a garden hose and rinse both the gates thoroughly. Make sure there are no traces of soap left behind on the gate. Having soap residues can lead to discoloration of the gate and you surely don’t want that to happen. Once all the soapy water has been rinsed and the gates are clean, take a towel and dry both the metal garden gates. Allow them to be air dried by giving them as much time as they need. 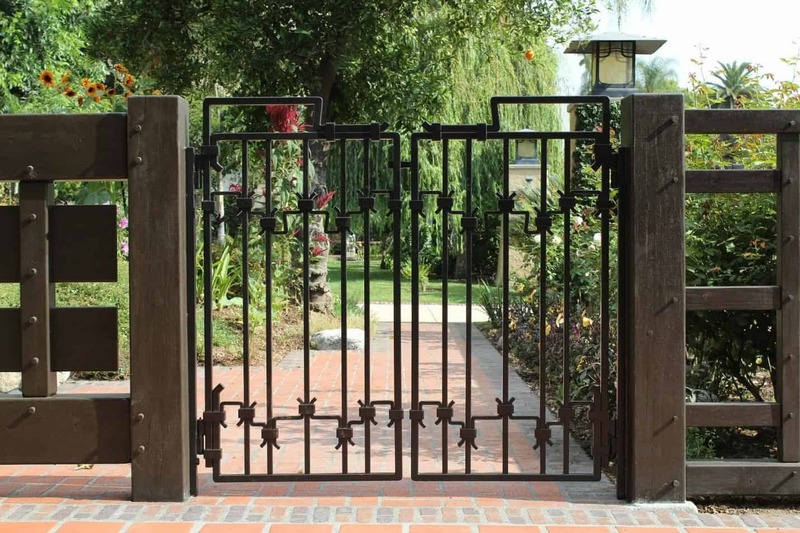 One of the biggest problems when it comes to metal garden gates is rust. If these gates are not maintained properly, rust can grow on them which will leave these gates useless. You need to be alert for any traces of rust on the gates. It is easier to remove rust when it is in its initial stages of occurrence. Once it gets out of hand, you are at the risk of losing the gate altogether as if left unattended, it will become hard and develop more extensively. If you find any traces of rust on the metal garden gates, take a piece of sandpaper and rub it away. Make sure you work steadily and clear all the rusted parts of the gate. Also, you need to be careful not to rub too hard or the paint of the gate will be damaged, adding to the cost of repairs. Check both sides of the gate for rust and remove it thoroughly. Once you are done with removing rust from the gate, wash the gates again as mentioned in the first step. Follow the soapy water procedure with a rinse and dry the gates again using towels. Also allow the gates to air dry for at least 30 minutes. Choose a primer that is suitable for your metal garden gate. Also make sure that the primer you use has rust inhibitors in it to keep the gate free from rust. Choose a primer that comes with a spray mechanism to make it easy for you to apply it. Open the gates wide and start spraying at the top of the gate. Keep spraying until you reach the bottom of the gate. Work in the same manner on the second gate as well. For higher protection, apply two coats of primer. Make sure the first coat is dry before you start applying the second one. This is one of the most important steps and it is important to choose the right lubricant for it. 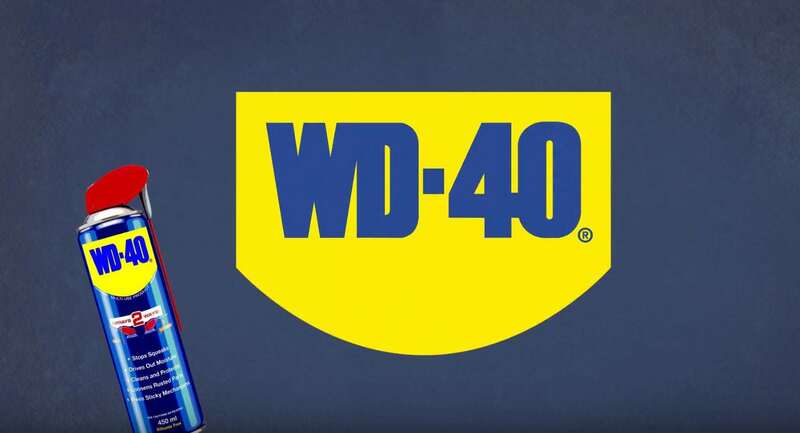 WD-40 works wonders when it comes to lubricating the gate locks and latches. It not only lubricates the metal garden gate locks and latches, but also help to keep them free from rust. 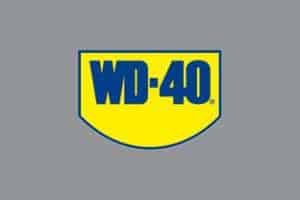 If the gate locks and latches are lubricated using WD-40, you can be rest assured that they will keep working as smooth and seamlessly as possible. Rust is one of the main reasons that locks of metal gates and the latches lose their efficiency and it becomes difficult to open and close them. Lubricating gate locks and latches with WD-40 will keep rust at bay and will keep the gate functioning smoothly. The final step of the cleaning process is painting the metal garden gate. This step is not to be done every single time you clean your metal gate, once a year would do. Make sure you choose a paint that is suitable for the kind of metal garden gate you have and the metal used in the making of it. Painting the gate will provide it a coat of protection against rust. You can apply two coats of paint if you feel one is not sufficient. Just make sure the first coat has dried well before you begin applying the second coat. Metal garden gates not only look great but also offer maximum protection, durability and add elegance to your house. With the above steps, you can keep your metal garden gates in the perfect condition and can make them look as good as new in just a few simple steps.